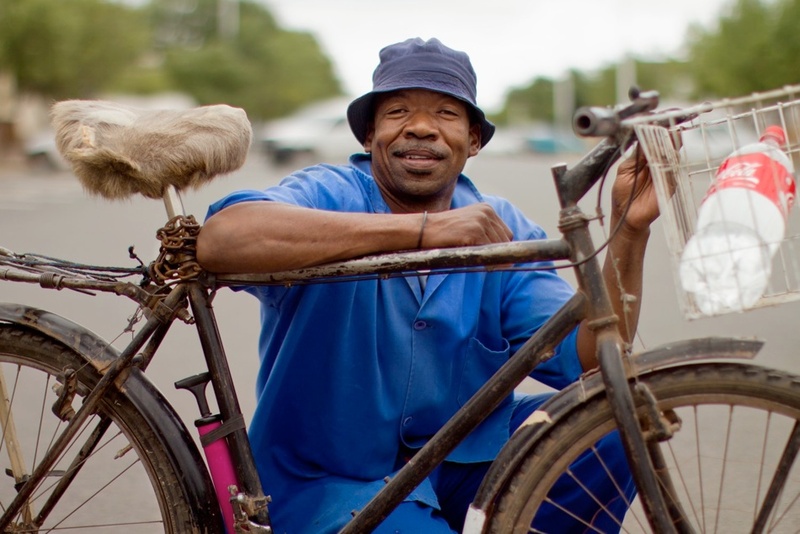 Bicycles are rare in South Africa. Now two cycling fanatics set themselves to convince their fellow citizens of the bike’s values. In doing so, a unique portrait of society has been created. At the beginning Stan Engelbrecht and Nic Grobler posed the question why so few people in South Africa actually made their ways pedaling. While bicycles are quite common in rural areas, where public transport is scarce and distances are long, you can have a hard time finding one in the cities. Certainly there are many reasons to draw on the good old two-wheeled steed. A maverick survey on South African mobility behaviour seemed overdue. Already taking a look at the daily traffic chaos in the city centers of Johannesburg or Cape Town could make you grab a bike. While mini busses creep through town during rush hour time, Engelbrecht and Grobler move comfortably on their bikes, let alone environmental aspects. Slowly we became interested in why so few choose to ride in a country where it makes such absolute sense to do so”, is how Engelbrecht puts the initial question to their project. At some point Engelbrecht and Grobler came up with the idea of reviving their homeland’s gaunt cycling scene. Their aim was to warm up their fellow citizens to bikes. 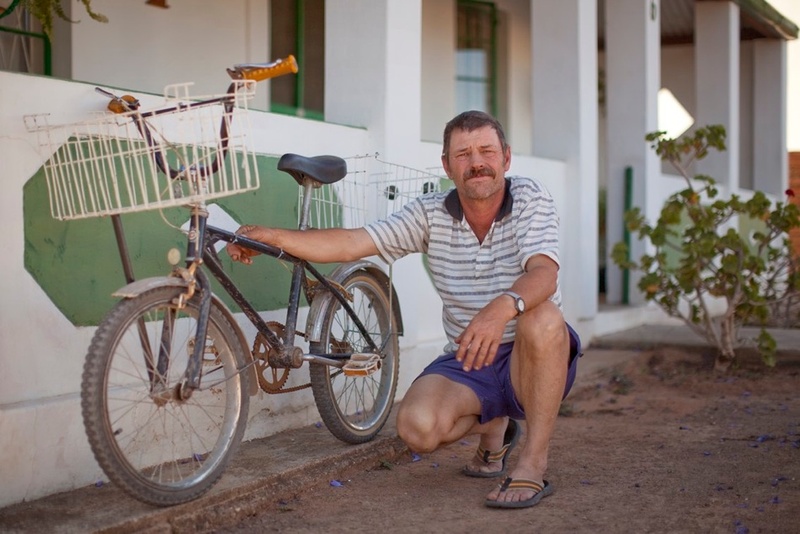 In order to convince notorious bike refuseniks of the benefits their wheels hold, Engelbrecht and Grobler started taking pictures of other enthusiastic cyclists around the country. 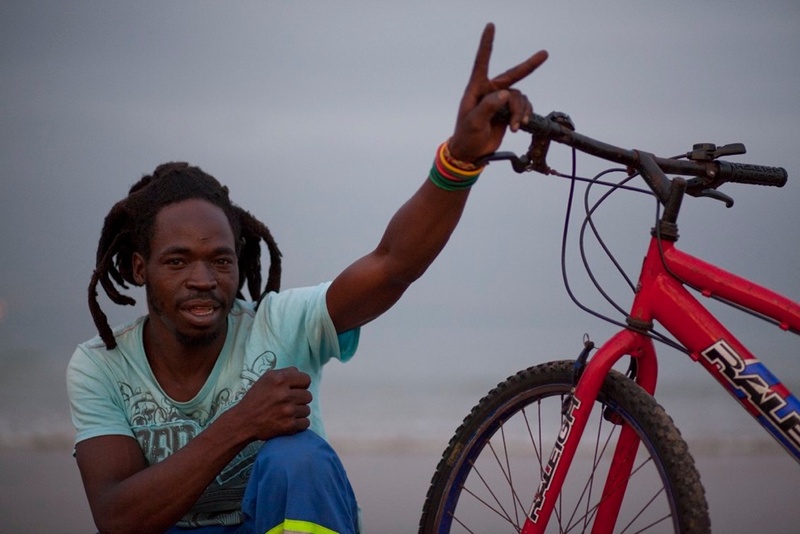 Using their own bikes they toured South Africa for more than 6.000 kilometers documenting all types of cyclists. Their various encounters were captured in over 500 photos. In this way a unique portrait of the South African society emerged. On their constantly updated website the two introduce dozens of people, who move on two wheels every day without the aid of an engine. The fun in cycling definitely is to the fore of the accompanying texts. 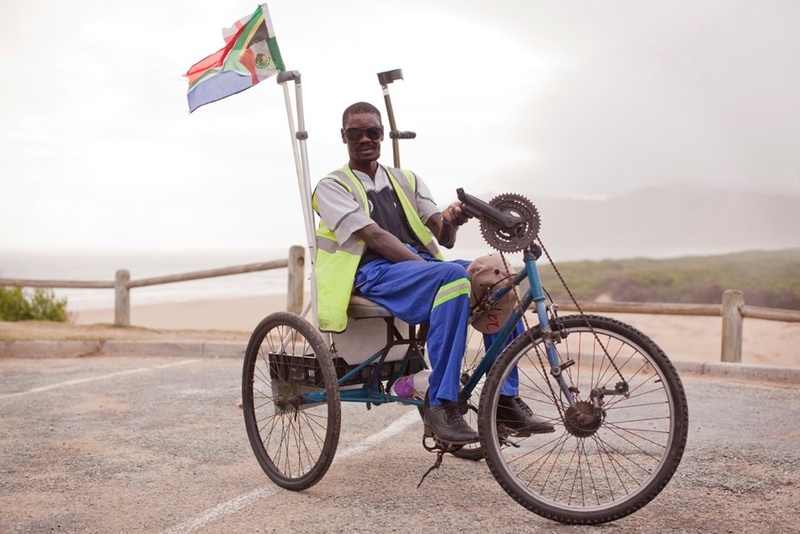 While many people like Eric Mapheela commute between work and home daily, for others like Wouter Coetzer their morning ride al fresco combines the practical benefit with childhood memories. 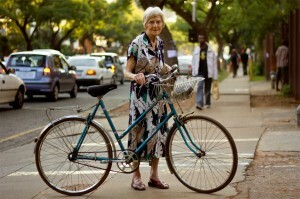 Until one day their aim might become true, you can take a look on their Bicycle Portraits online. Engelbrecht wants to make their project a book. With the aid of donors first of all the costs for printing and design shall be retaken. Profits then will be invested in local biking centres, training or equipment like helmets.